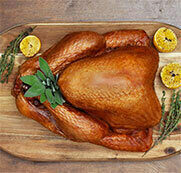 Manitoba Turkey Producers (MTP) represents 58 farm families in the province of Manitoba. Turkeys are raised year-round in Manitoba with an average farm producing 7,000 turkeys, three times a year. In total, turkey producers raise approximately 1.4 million turkeys annually. This represents approximately 11 million kilograms of fresh turkey available for consumer enjoyment. Manitoba Turkey Producers marketing board was established in 1968 under the Natural Products Marketing Act. The province is divided into three production districts. Our board of directors is comprised of one producer representative elected from each district, plus one at-large representative. These four board members, along with an administrative staff, run day-to-day operations at MTP. Striving to ensure growth of the Manitoba turkey industry. Producers cooperatively and efficiently producing and supplying the highest quality turkey meat for Manitoba, Canada and globally. The turkey industry in Canada is operated under an orderly marketing system, known as a supply management system. This system prevents perennial market gluts and shortages by controlling production and provides economic stability for the producers. This stability in turn, allows the producer to reinvest in improved production facilities, to make more informed market and production decisions, and to improve production efficiencies. With supply management, consumers can be assured of healthy, safe, high quality turkey products on a year round basis, at a competitive price. The 11 members of the Turkey Farmers of Canada (TFC) set the national production quota through a predetermined formula that allocates production quota to the provinces. Essentially, they decide how much turkey the entire country will produce and this is then divided among the provinces. The Manitoba Board is responsible for allocating its share of the national quota to its 50 commercial turkey producers. The Manitoba board is a member of the Turkey Farmers of Canada (TFC), which was established as the Canadian Turkey Marketing Agency in 1974. Members of the TFC include eight provincial turkey-marketing boards (Quebec, Ontario, Manitoba, Saskatchewan, British Columbia, Nova Scotia and New Brunswick), the Canadian Poultry and Egg Processor Council, and the Further Poultry Processors Association of Canada.